Amma's hospital in India is AMAZING. Amrita Institute of Medical Sciences extends a warm welcome and completes highly specialized cardiac treatments to the first batch of children from Iraq. With characteristic open arms Amrita Hospital received 5 Iraqi children referred to the Institute by the National Iraqi Assistance Centre on the 15, of February 2007. Four of the five have successfully undergone complex cardiac surgeries and are now recovering at the hospital that has become internationally associated with advanced medical treatment of this nature. Amrita Hospital has been performing heart surgeries for children supported by Rotary International, for a number of years, recently a connection through Rotary International was made with the NIAC offering the services of the hospital to children in need. Due to the high standards of care provided by the hospital the NIAC accepted the offer and sent the first batch of medical records to the hospital, scheduling of treatment was made, and the project has been quite successful. The children were evaluated by the hospitals team of Cardiac Surgeons and Cardiologists, which included among its members, Dr. Suresh G. Rao, Chief of Pediatric Cardiac Surgery and Dr. Krishna Kumar, Chief of Pediatric Cardiology Division, both instrumental in the success of the surgeries. The patient’s heart conditions are due to congenital defects making surgery the only option for a full recovery and the chance for a normal life. These five children are the first batch of the 170 plus children scheduled for the advanced and specialized treatment that the institute has become synonymous with. Previously, the N.I.A.C. 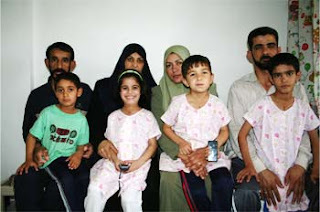 a governmental agency in Iraq which provides medical care locally has referred patients to the USA, Turkey and Jordon. The Amrita Institute of Medical Sciences is the only hospital in India to receive patients from Iraq.